Summer is great for family time but let's face it, you might secretly be jumping for joy that your child is returning to school right about...now. 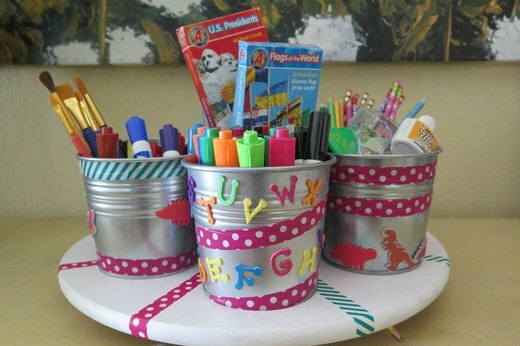 Extend that joy to your kid with these fun DIYs that make academia a lot more exciting than just a set of sharpened No. 2 pencils. 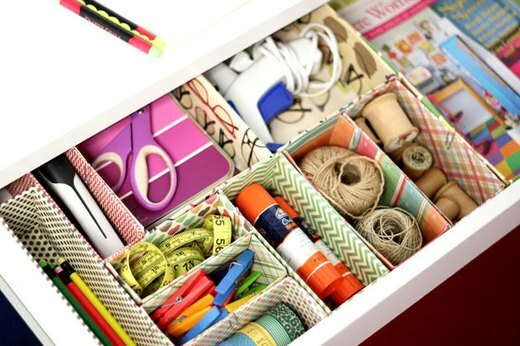 There’s no need to plunk down money on drawer organizers when you can fashion your own out of cereal and snack boxes. 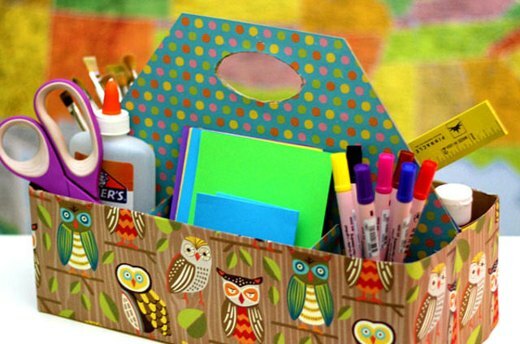 With a bit of jigsaw work, you’ll have a perfectly customized divider to organize your kid’s study and craft essentials. 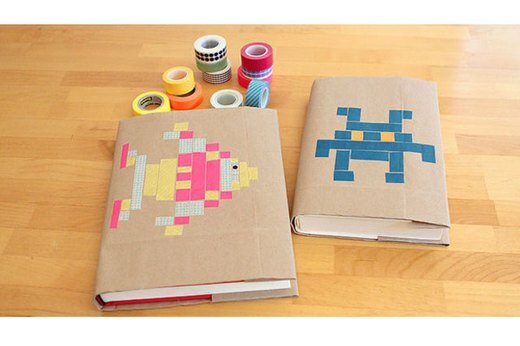 Using decorative tape is a great way to add playful character to your kid’s textbook covers. 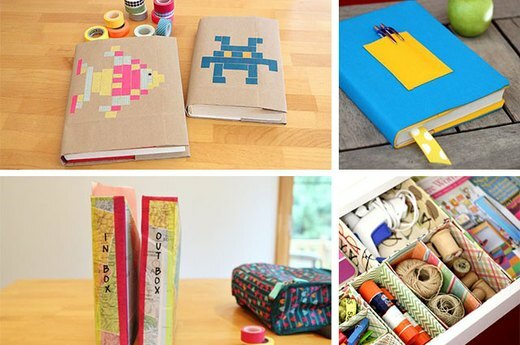 Help your child wrap the book with paper bags and then let their creativity run wild! 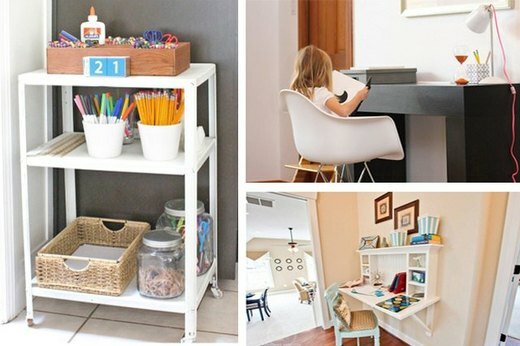 This clever DIY lap desk will allow your children to do homework away from their normal station (every once in a while). It's also a great way to keep your laptop from getting too hot on your lap, so you might be borrowing it often! 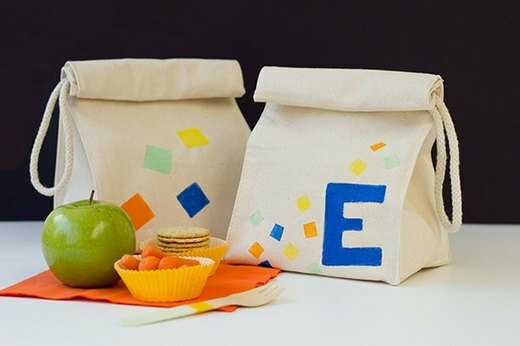 Create a special way for your kid to tote their lunch. The name panel means they won’t ever misplace it and the black contact paper acts as a spot for sweet notes to your child (before they get too old to be embarrassed by it). If you're not digging the idea of sending your child back to school with the same backpack that every other kid is carrying, it's time to grab some fabric and start sewing. 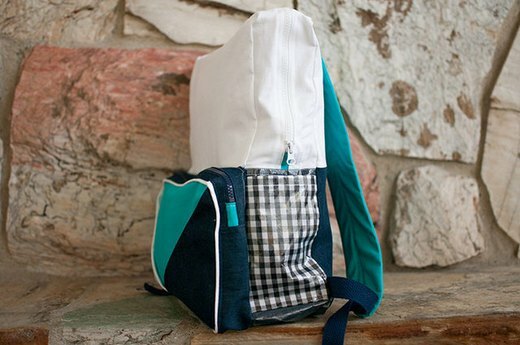 Your kid will appreciate that the bag expresses their personal style, whether it’s gingham or polka dots. 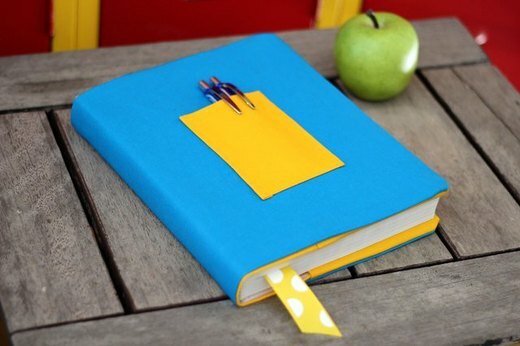 Make a bunch of these for the little bookworm in your life. They're so clever and easy, it'll be hard not to craft one for every single book on your child's reading list. 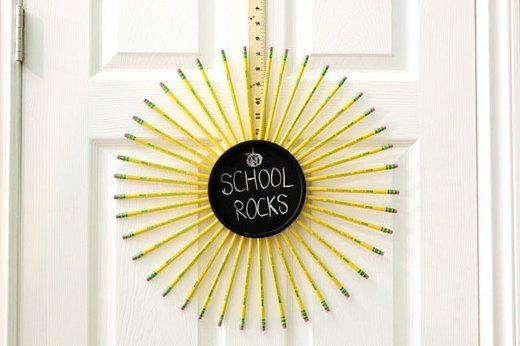 Consider this door décor a smart way to get your child in the back-to-school spirit. No. 2 pencils surround a chalkboard circle for words of encouragement or reminder notes. 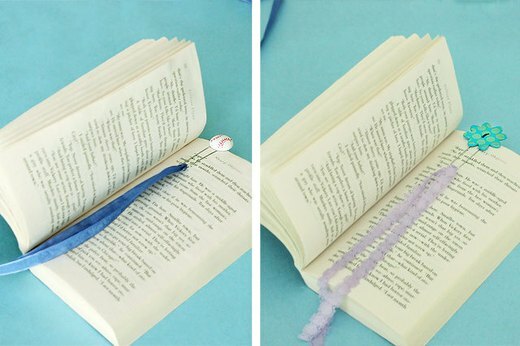 Add a little cheer to your child’s book with pompom bookmarks. Made simply by twirling colorful yarn around your fingers and snipping them at each end, this will be a fun afternoon project to do together before the school year starts. Mark this one for the weekend (it’ll be totally worth it). 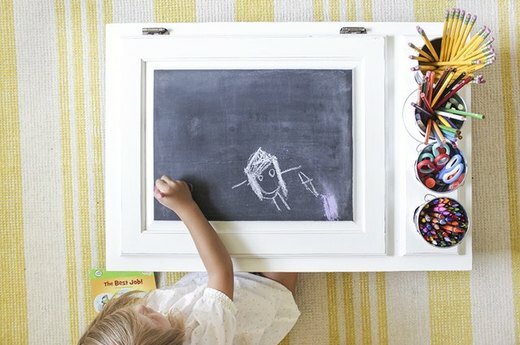 An unused cabinet is upcycled into a low table that lets your child channel their artistic spirit. 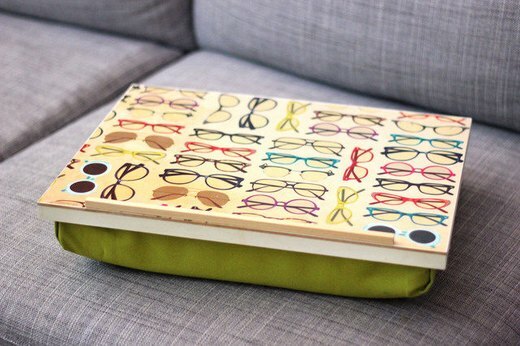 The chalkboard top even opens up to reveal storage for colored paper and reading books. Doing homework or studying for a test is not exciting by any stretch of the imagination, but you can at least make the area peppy and colorful to jazz up the ambiance. 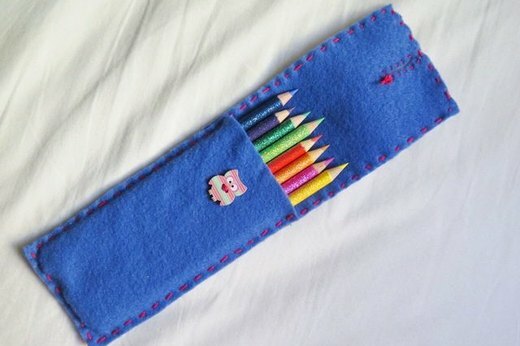 This is one pencil pouch your kid will be proud to whip out in class. Contrast stitching and the addition of a cute animal button make this DIY even more adorable. Whether you designate a small corner or an entire room for schoolwork, the importance is finding a space that works for your home. These tips and ideas will help you no matter what kind of real estate you’re working with. 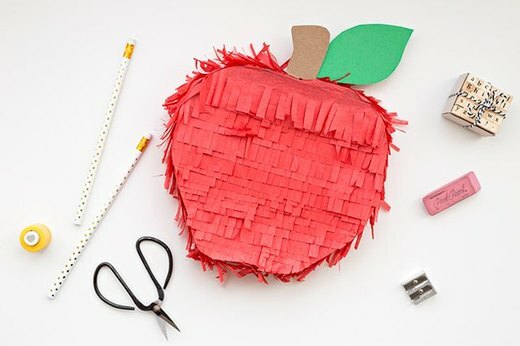 Craft this adorable piñata filled with school supplies and invite your kid's friends for a little back-to-school fun. This eco-friendly canvas bag is made personal with stamped letters carved out of a potato, so it can be a fun project for the entire family. 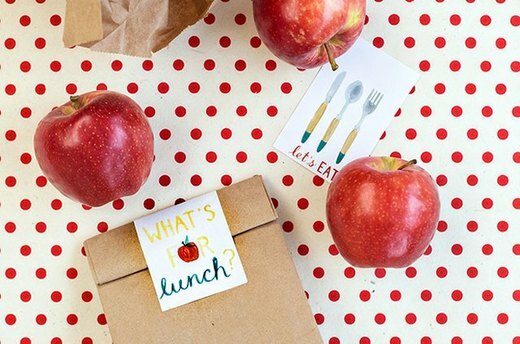 And if you do have days when your reusable lunch bags are out of commission (it happens), you can still opt for a more specialized brown bag with these free printable stickers. 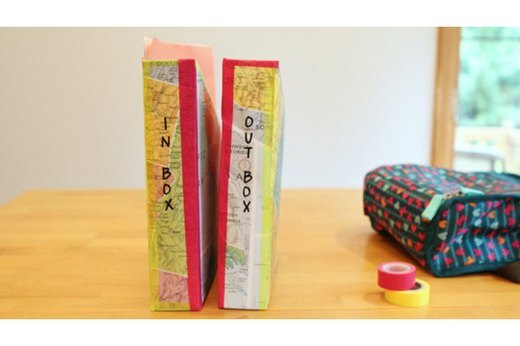 Get your kids excited about visiting the library with this DIY bag. Designing it together makes it exponentially more fun, especially when it involves stencils and paint. 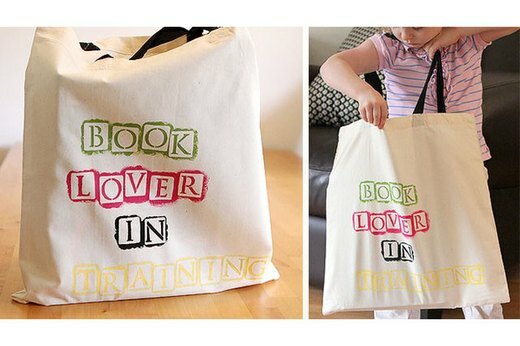 We love the term “Book Lover In Training” but choosing a phrase with your little one is even more meaningful. Create a station with an inbox and an outbox to make sure that finished homework is never misplaced, permission slips are signed, and notices from the school are read in a timely manner. 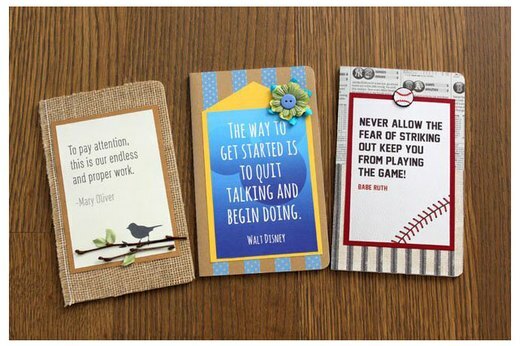 Inspire your kids with meaningful quotes that will help them dream and be proactive. When it’s written right in front of a notebook that they’re seeing everyday, they’ll be reminded and motivated to keep pushing. While it requires a little more work than the average paper book cover, this canvas version will give any unsightly textbook a makeover. 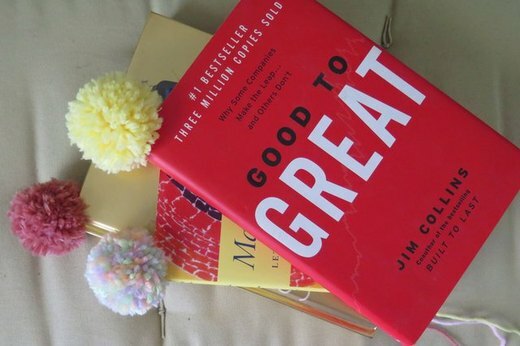 Color coordinating makes it easier to remember the subject of the book. Cereal boxes are a lot more useful when they’re transformed into a caddy for school and art supplies. Wrap it in a fun wrapping paper (or two if you like the mix-and-match look). The first day of school is special for both the parent and the child. 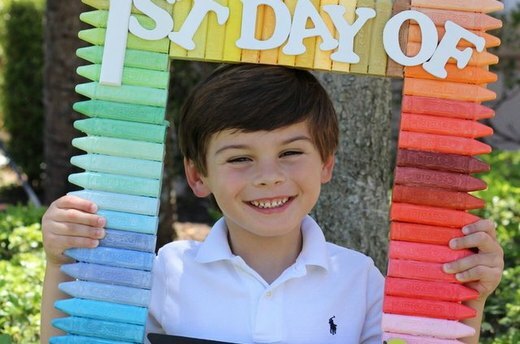 Celebrate each year with a photo prop to document your kid's transformation from year to year.